So far, we've covered a number of poets with a variety of writing styles and experiences of the Great War. One of the aspects of their poetry we haven't covered is their technical expertise. For this post, our poet is incredibly skilled in meaningfully structuring their poems. Wilfred Owen was born March 18, 1893 near Oswestry, Shropshire to Thomas Owen and Susan Shaw. Owen's parents lived with Edward Shaw, Susan's father, in his comfortable, spacious house. Susan's family had been affluent in her adolescence, but had lost much of their wealth by now. When Edward passes in 1897, Owen's parents sell the house and move to start a modest life in Birkenhead, Merseyside. There's tension between Owen's parents, each feeling constrained by the marriage. Thomas, a former seaman, limited to a boring, poor occupation of a railway station master. Susan limited in pursuing academic and economic ambitions. Owen was raised Anglican and a devout believer in his youth. Passing the matriculation exam, but without honors, Owen was unsuccessful in obtaining a scholarship to London University, the only way Owen could afford to attend. Owen worked as a lay assistant to the Vicar of Dunsden near Reading, Oxfordshire. While at Dunsden, Owen assisted in the care of the poor and sick in the parish and was able to attend some classes at University College, Reading. Owen became disillusioned with the Church of England in it's failure to care for the underprivileged. Two years later, Owen returned home due to a respiratory infection from the damp, unheated room at the vicarage. At home, Own's father encourages Owen to find steady work, yet Owen wants to pursue a artistic career. Once Owen is recovered, he leaves to teach at the Berlitz School of Languages and later tutor for a Catholic family in Bordeaux, France. Nearly a year after Britain entered the war, Owen leaves France for England to enlist into the British Army. While fighting on the Western Front, Owen would experience a number of traumatic experiences. Eventually, Owen will be diagnosed with neurasthenia (shell shock) and sent to Craiglockhart War Hospital in Edinburgh, Scotland. At Craiglockhart, Owen would edit Hydra, the hospital journal, teach at Tynecastle School, research for the Edinburgh Advocates Library, and play in the community orchestra. 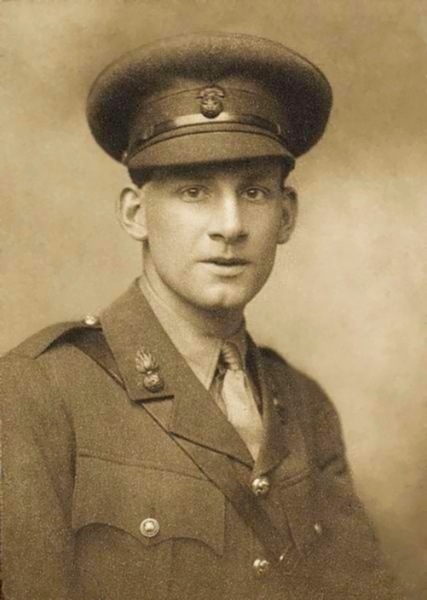 Owen meets fellow soldier and poet, Siegfried Sassoon, who would encourage Owen to further indulge in writing poetry. Sassoon known at this time for his letter Finished with the War: A Soldier’s Declaration  and throwing his Military Cross in the river Mersey. Rather than court-martial, Sassoon was found unfit for service, diagnosed with neurasthenia, and sent to Craiglockhart. After their meeting, Owen would write the majority of his poems. Owen's poetry would pull from his experiences in the trenches, France, and the vicarage. One of the forms Owen was quite skilled in writing was sonnets. A sonnet is a fourteen lined poem that follows a specific structure and rhyme scheme. An Italian (Petrarchan) sonnet has two parts, the eight lined octave and six lined sestet. The octave introduces the conflict of the poem and follows a a b b a a b b a rhyme scheme. The sestet provides a comment or resolution to the octave and has a variety of rhyme schemes. The volta (the turn, rhetorical shift, or dramatic change) is the beginning of the sestet, coinciding with the change in rhyme scheme and literary direction. An English (Shakespearean) sonnet has four parts, three four lined quatrains and a two lined couplet. English sonnets follow a abab cdcd efef gg rhyme scheme. The third quatrain or couplet summarize the earlier quatrains and contain the volta, offering a new view or dramatic twist. What passing-bells for these who die as cattle? — Only the monstrous anger of the guns. Only the stuttering rifles' rapid rattle Can patter out their hasty orisons. No mockeries now for them; no prayers nor bells; Nor any voice of mourning save the choirs,— The shrill, demented choirs of wailing shells; And bugles calling for them from sad shires. What candles may be held to speed them all? Not in the hands of boys, but in their eyes Shall shine the holy glimmers of goodbyes. The pallor of girls' brows shall be their pall; Their flowers the tenderness of patient minds, And each slow dusk a drawing-down of blinds. Owen was killed in action on November 4, 1918 while crossing the Sambre-Oise Canal. The Armistice ending the war would be signed one week later, the same day Owen's mother would be informed of her son's death. Owen was buried at the Communal Cemetery in Ors, France.